Core-apps is pleased to announce that they have been selected to provide the mobile app for all of PCMA’s events including Convening Leaders, the Education Conference and PCMA Europe. Core-apps will also be leading the Help Desk at Convening Leaders in January 2018 and will have an engagement pod next to other PCMA service providers. We're pleased to continue to grow our partnership with Core-apps. The team shares our goals of innovation and engagement and their technology offers the scalability PCMA relies on as leaders shaping the future of events. 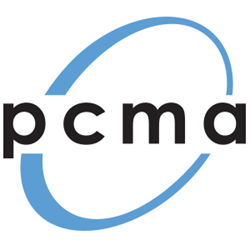 Core-apps, the leading technology platform for the event industry, announced today that PCMA, the Professional Convention Management Association, is extending their event technology partnership for 2018-2019 events. Core-apps is pleased to announce that they have been selected to provide the mobile app for all of PCMA’s events including Convening Leaders, the Education Conference and PCMA Europe. Core-apps will also be leading the Help Desk at Convening Leaders in January and will have an engagement pod next to other PCMA service providers. The 2018-19 PCMA event apps will include the addition of Access 365, a robust new feature that turns event apps into year-round engagement tools. PCMA’s Convening Leaders will feature the new event app functionality and will be available for attendees prior to the January 2018 conference.